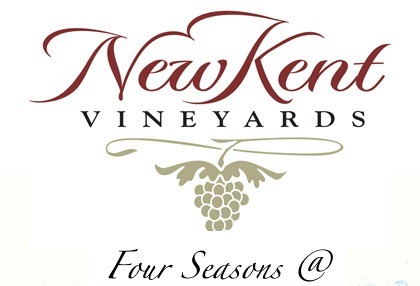 The Four Seasons at New Kent Vineyards—a new, gated Active Adult neighborhood is breaking ground on four new furnished model homes expected to be completed this year. The first section of the neighborhood will include 155 low-maintenance homes designed for those age 55 and better. The Four Seasons community will also include numerous amenities perfectly suited to the Active Adult lifestyle. A planned clubhouse will offer a fitness center, as well as gathering areas, walking trails throughout the neighborhood will provide a great way to enjoy the outdoors. Residents of The Four Seasons will also have access to the new Rees Jones-designed golf course at New Kent Vineyards, as well as the award-winning New Kent Winery. 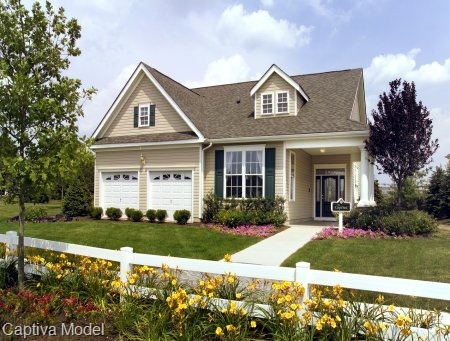 The community is conveniently located near exit 211 along I-64 between Richmond and Williamsburg. 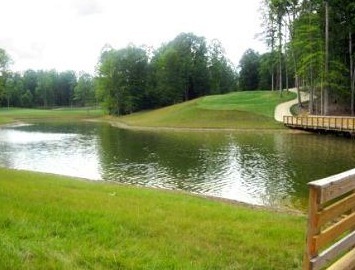 Four scenic rivers and Virginia Beach are just a short drive away. Of course, the best way to experience this one-of-a-kind community is to come and see for yourself. The neighborhood is the third one underway at New Kent Vineyards behind Viniterra and The Arbors. Hi, my name is John Womeldorf (AKA Mr Williamsburg). 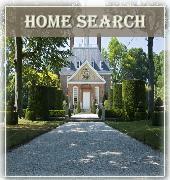 I am a Williamsburg VA real estate agent. Do you have a question about this community? Would you like a brochure, floor plans, or listings of homes for sale in this community? Send me an email and I will get back to you right away or fill out my New Home Update Form and I will keep you updated on new home communities and homes throughout the New Kent, Williamsburg and Hampton Roads VA areas. Four Seasons at New Kent Vineyards will feature luxurious one-story single-family homes. These thoughtfully designed homes will range in size from 1,500 to 2,500 square feet and include a variety of features that appeal to an active adult lifestyle. 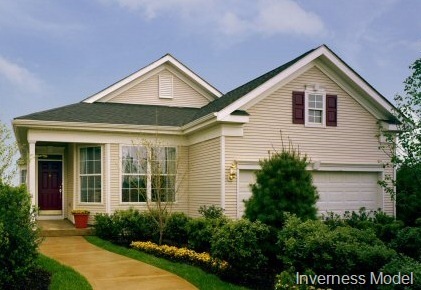 These low-maintenance homes include vinyl siding, nine-foot ceilings in the main living area, crown molding and chair rail details, lever handle interior door hardware, designer kitchens and spacious floor plans. 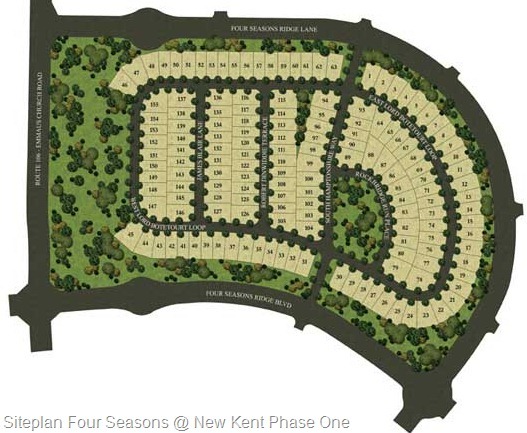 Four Seasons at New Kent Vineyards will be the 24th community of its type planned and built by K. Hovnanian Homes and the fourth such community in the Mid-Atlantic. A wealth of experience in Active Adult living promises that this Four Seasons neighborhood will be one of the best. The Club at Viniterra is the newest championship golf course designed by acclaimed golf course architect Rees Jones. The course features working vineyards alongside fairways throughout, a signature hallmark of the new Viniterra community. 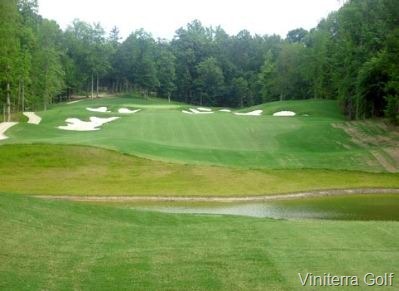 Nestled in a beautifully wooded area between Richmond and Williamsburg, the Viniterra golf course incorporates a surprisingly wide variety of natural elevations, changing as much as 70 feet from tee to green on several holes. Multiple tee boxes can be found on each hole, usually five or six, to provide the overall yardage and angle-of-play flexibility required for golfers of all skill levels. Depending on which of the tee markers a golfer elects to play, this flexibility allows the course to measure anywhere between 5,300 and 7,600 yards. The Club at Viniterra is the only course in this part of Virginia’s Peninsula that incorporates working vineyards alongside fairways throughout, one of the signature hallmarks of the new Viniterra community. The course features old-growth specimen oak trees that Jones has incorporated into the design as corner points along several of the course’s key holes. Moreover, Viniterra’s estate home sites were designed so that no homes face directly into the view of another and will have minimal impact on the golf experience. Hole No. 9 is already noted for its unique beauty as it finishes along a lake and the clubhouse while flanked by one of the working vineyards. Another Par 5 is No. 10 which also includes picturesque vineyards along the fairway and a bunker complex overlooking yet another stand of vineyards. "This is a classic Rees Jones design which makes it good golf both for a championship experience or for a private club membership," notes Viniterra partner and well-known developer Kitty Hawk Land Company President Mickey Hayes. "It promises to be a very playable design for everyday member play," said Hayes, "but still presents the kinds of challenges that better golfers have come to expect of Jones as the so-called ‘U.S. Open Doctor.’"
As the name suggests, the neighborhood is also close to the community’s vineyards and the New Kent Winery a one-of-a-kind facility producing wines from the community’s vineyards. Thousands of old bricks and dozens of antique timbers went into the construction of the winery, where the making of chardonnays, merlots, and other varietals and blends can be seen and the outcome sampled. 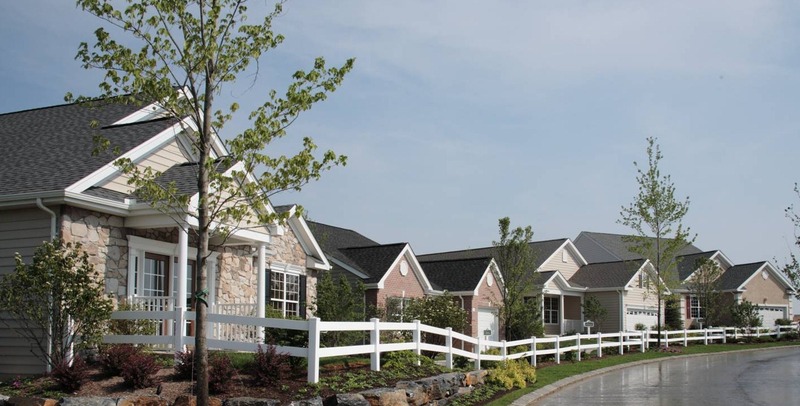 Across the roadway from Four Seasons is the Arbors offering single-family homes in a number of styles and sizes. 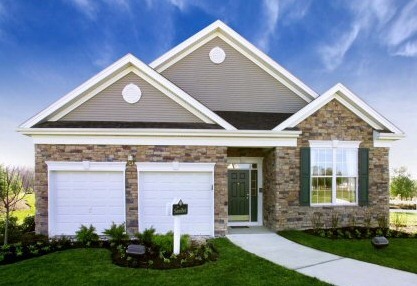 Ryan homes is currently building there , K Hovnanian will commence construction in 2011.The Arbors community and Four Seasons are both conveniently located close to the planned shopping center for the community. 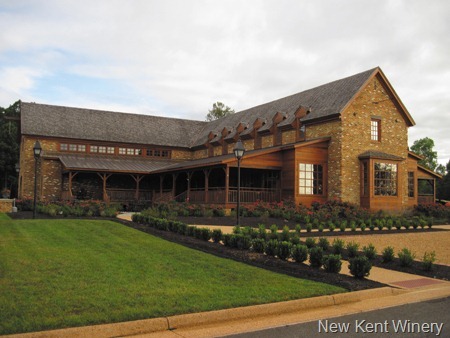 As you exit from Interstate 64 and turn north on Route 106, you are on the threshold of New Kent Vineyards. New Kent County’s new Visitor and Commerce Center welcomes you first—its site to be accompanied at a later date by office and retail centers. As you proceed on 106, you travel through several roadway roundabouts, each of which has a distinctive character. If you continue north on 106 and looking to the right, you see the future site of The Village, a neo-traditional style neighborhood of commercial, retail and town home residences anchored by a pedestrian mall and Farmers Market. Further, through the roundabout at Route 249, you come to more vineyards and New Kent Winery. This area will also be home to a collection of community amenities that includes a clubhouse, a tennis and aquatics center, a country inn, a restaurant, and an equestrian center.